Read "Highway 12, Just East of Paradise"
This collection of poems by the award-winning author of In the Bank of Beautiful Sins (Viking, 1995), offers an array of epiphanies: perceptions on and experiences with wildlife: wolf, owl, geese, deer, skunk . . . as we’ve not read before. 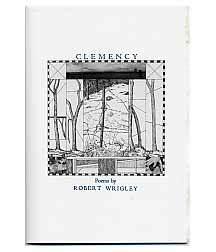 Robert Wrigley is the Director of the MFA program at the University of Idaho. He’s the author of a half-dozen collections of poetry, including Reign of Snakes (Viking, 1999), What My Father Believed (University of Illinois Press, 1991), Moon in a Mason Jar (University of Illinois Press, 1986), and The Sinking of Clay City (Copper Canyon Press, 1979). He is the recipient of numerous awards, including the Kingsley Tufts Poetry Award, two NEA Fellowships, and a Guggenheim Foundation Fellowship, and has served as Idaho’s State Writer in Residence.